You may be surprised to learn that your desk probably harbours more germs than a toilet seat! It’s true! In fact, the average desk is home to 400 times more bacteria than the average toilet seat. A study at the University of Arizona in the U.S. found that phones, water fountain handles, microwave door handles and keyboards are the top five most germ-contaminated spots in the office. And even more astonishing is the fact that the area where you rest your hand on the desk has around 10,000,000 bacteria. Yuck! If you value your well-being, it’s high time you got into the habit of giving your workstation a regular clean. Here are ten top tips for keeping the germs at bay. Shut down your computer and unplug your keyboard (if it is wired). Carefully turn your keyboard upside down and gently shake it over a bin. This should get rid of any crumbs and debris. To clean away dust, use compressed air. You can buy cans of compressed air from most office supply shops. Then use cotton swabs and cotton buds to clean the keys with isopropyl alcohol. Be careful not to use too much alcohol. Over time, your monitor will get dusty. With everything switched off and shut down, move your monitor and wipe the surface it stands on. Use a microfibre cleaning cloth and a little water to make the cloth damp. Do not spray water directly onto the monitor, but apply a small amount of water on the corner of the microfiber cloth. Never use cleaning fluids, wax, or chemicals. If you’ve noticed your mouse has been a bit erratic or unresponsive, it could be simply that it needs a good clean. Disconnect your mouse. Remove the mouse ball cover and clean with a dry lint-free cloth. Use specialist cleaning fluid to clean the rollers, before replacing the mouse ball and cover. For an optical mouse, disconnect and clean with a lightly dampened cotton ball. Pat dry and reconnect. You’ll keep dust away from your desk by regularly hoovering carpets under your desk, or mopping hard floors. Regularly use a dry lint-free cleaning cloth to wipe your desk to pick up dust. Your phone is a hotspot for bacteria and needs regular cleaning. Wipe your phone with anti-bacterial wipes. The ear, mouth piece and the keypad require special attention as they have the most concentration of bacteria. Wipe the whole unit and any wires and cables. Even if your under-the-desk bin has a plastic liner, take the time to regularly clean your bin with disinfectant in a little warm water. Dry completely with a cloth before adding a new bin liner. You are probably all too aware that clutter builds on your desk depressingly easily. Clutter attracts dust and makes regular cleaning more difficult. Try to keep your desk minimalist. Keep on top of your desk cleaning by investing in the products you need to give your desk a regular clean. With everything you need tucked into your stationery cupboard, keeping your workstation free of dust and germs will be easy. If you really don’t have the time for a regular desk cleaning routine, ask your professional cleaner to build in some regular deep cleans for your work stations. Professional cleaners know all of the hotspots for germs and have the expertise and the cleaning materials to get your workstation hygienic and looking ship shape in minimal time. If you really want to minimise the mess on your desk, eat snacks and lunch elsewhere. Food crumbs and spills can easily build up without you noticing. Taking a lunch-break away from your workstation is actually good for your productivity. If you need help getting your office spick and span and free from dust and germs, our professional team of cleaners are on hand to help with regular contract cleaning and commercial deep cleans. Give our friendly efficient team a call on 01322 384500 (Kent), 0203 092 4777 (London) or 07774 606171 (mobile). After your long-awaited office refurbishment, you’ve finally been given a date you can move back in. Hallelujah! 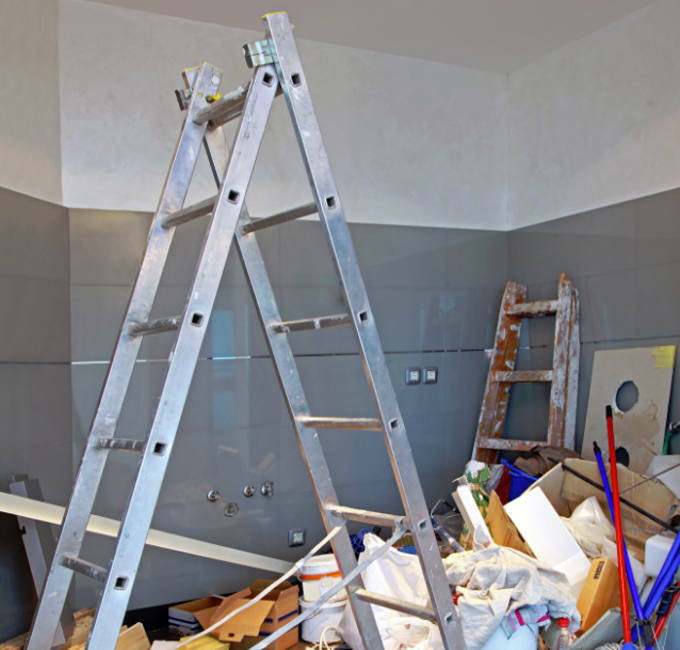 But before you get over excited and think it will be business as usual on the first day back, check out the state of your renovated office before you make plans. While many building companies do a fairly decent job of cleaning up after themselves, not all do. And even the better ones aren’t likely to leave the place spotless. Renovations are notoriously messy. Unless you have a post-renovation clean built into your contract which is increasingly rare, the industry standard is ‘broom swept.’ Trust us when we say that won’t be good enough to get your space completely clean and dust-free. Health and safety at work is extremely important, and a thorough clean after any refurb work is crucial. All kinds of toxins can be released into the air during a renovation, including silicates, mould spores, and ultrafine dust that can cause damage to the lungs. So, you can see why a post renovation clean is essential. Here are 10 things you may need to do once the builders have gone. If you need help and want a professional and reliable cleaning company to get the dirty work done for you, give our specialist cleaning team a call. Before you start moving anything back in, make sure you are completely happy with the work. It will save a lot of disruption if you need to get your builders back to finish anything off. Resolving any problems with the renovation work should take priority. Freshly applied primers, paints and varnishes can give off toxic fumes. Be sure your office is sufficiently aired before you think about moving staff back in. 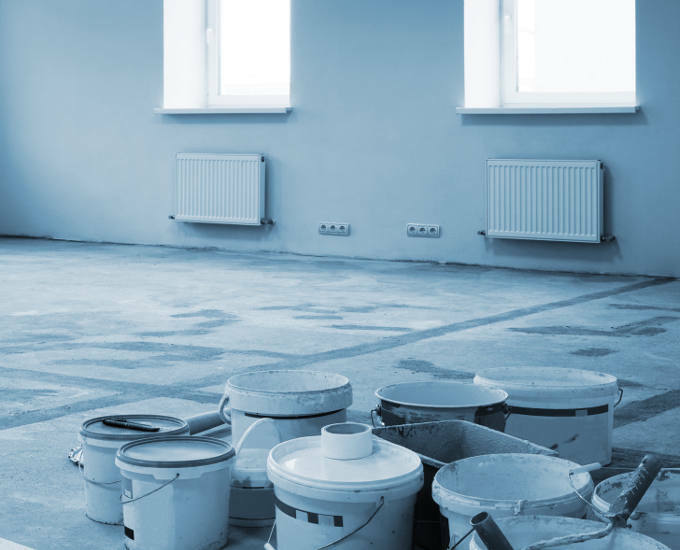 You may have the expectation that everything will be perfect when your office refurbishment work is finally finished, but there are often leftover stickers, and paint and plaster deposits that require removal. Builders don’t have the best reputation for keeping bathrooms spick and span. Give your sanitary facilities a good scrub (or get a reputable cleaning company to do it for you). You may need to get your builders back to remove debris. It’s not just the floors that will need a good clean. The ceilings and walls will need attention too (dust has a habit of getting absolutely everywhere). That includes doors, cabinets, mouldings, skirting boards, sills, blinds, light fittings, ceiling fans, hinges, handles etc. Dust makes its way into the most awkward places. Just because cabinets have been kept closed during the refurb, it doesn’t mean the insides will stay dust-free. Be sure to book your regular window cleaner in for a post refurb extra clean. If your refurb work didn’t include new flooring, then this is the perfect time to get carpets or hard floors professionally cleaned. Remember to use correct cleaning detergents to avoid any damage to new surfaces. There is nothing more frustrating than to ruin some of the good work that has been done. That’s why most businesses employ a professional cleaning service to clean up after office renovation or refurbishment work. To make sure your office is sparkling clean after refurbishment, why not use our professional and efficient post build cleaning service? Contact us for a free quote now. Many businesses start out with good intentions and avoid hiring an office cleaner, believing that it’s easy enough and more cost effective to share the cleaning load between staff. By now you are probably all too aware of the trials and tribulations of keeping an office clean and tidy. Stained coffee cups, a sink full of washing-up, and carpets covered in lint and debris are just some of the inevitable outcomes when employees are expected to clean up after themselves. 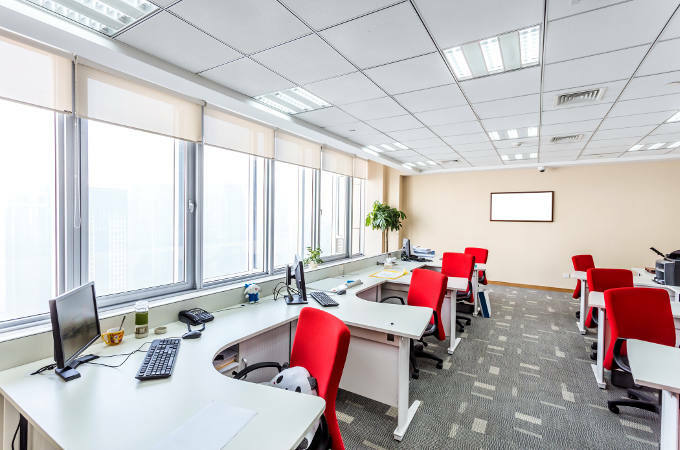 If this sounds like your office, here are 7 great reasons to convince you it may be time to hire a professional office cleaner. Professional cleaning companies invest heavily in high quality professional equipment. They want to be able to clean with maximum efficiency. If you are doing the cleaning yourself, you probably use basic cleaning equipment, including a sub-standard hoover. Poor cleaning equipment won’t get rid of the grime that builds up over time. 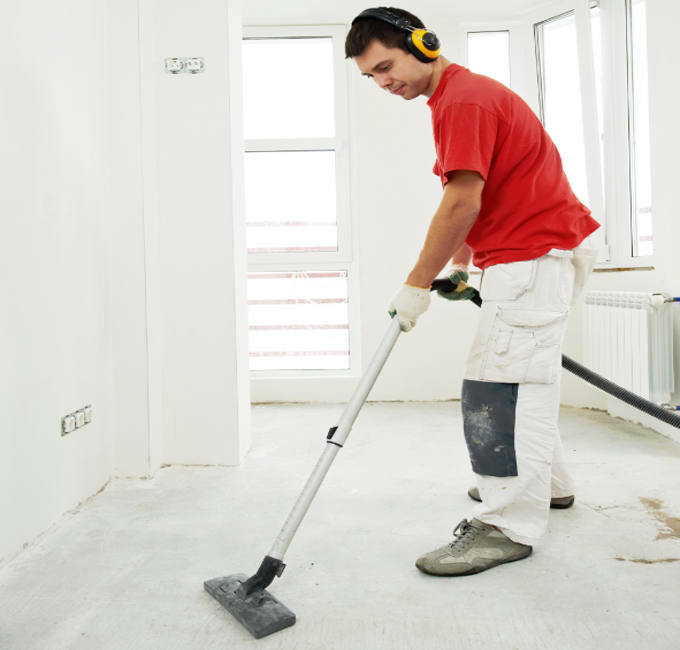 Cleaning operatives from reputable cleaning companies are fully trained. They know all of the cleaning hot-spots, so they won’t let things that are easily overlooked go unnoticed. Professional cleaners are skilled at finding and eradicating dust and grime. They are also trained in the health and safety aspects of sanitising office kitchens and toilets. Cleaners from professional cleaning companies are also much more efficient than you. They are experienced in completing cleaning tasks and know in exactly which order to do things to get the office clean efficiently. Your time is better spent concentrating on the business of growing your business. When you expect employees to clean up after one another, small conflicts can easily get blown up out of proportion. Being made to clean up can also have a detrimental effect on morale. If you want to get the best out of your employees, it makes sense to minimise the risk of conflict and prevent sinking morale by hiring a third party to keep your office clean. Professional cleaning of your office on a regular basis will help to reduce health and safety risks. Cleanliness of public washrooms and kitchen areas will be maintained with regular cleaning. Slip hazards will also be minimised with a cleaning contractor working out of office hours. There’s also the issue of allergies and staff sickness. An office with poor cleanliness and hygiene is more likely to affect employee health, which ultimately has an affect on productivity. A clean and tidy office is a much nicer place to work, and will help you to get the best out of your staff. For any business, creating a good first impression with clients is paramount. Appearance matters a lot, and customers will be more likely to trust you if you present to them in a clean and tidy environment. It shows that you care, and that you are credible and organised. While the cost of a professional cleaner may seem like an added expense to your business, the cost of staff sickness, poor morale and creating a poor first impression with potential clients could cost you a lot more. Growing a business takes up a huge amount of time and energy. With so much to think about, why not give yourself the peace of mind that your office environment is being taken care of with a professional office cleaner. Even with a regular cleaning routine, upholstery in the office all too often gets forgotten about. It’s a mistake many businesses make. When your clients arrive and peer nervously at your chairs before sitting down, you can be sure you’ve left it too long before getting your upholstery properly cleaned. Cleaning the upholstery in your office matters. Here are 4 good reasons why. There’s nothing more embarrassing than guiding a visitor to a chair with grimy looking upholstery. Clean, well-kept furniture in the office speaks volumes about your business. When you look after the environment you work in, it portrays an image of someone who cares. A clean and tidy office supports your values and business ethics. Clients visiting your office will see this. Poorly kept furniture with stains will give off the message that you don’t care. It doesn’t matter whether you have expensive designer furniture or budget furnishings, dirty upholstery won’t go unmissed by visitors. There’s also the question of your employees’ health. Filthy, unclean chairs harbouring food crumbs are a bacterial trap and a haven for dust-mites. It’s common knowledge that allergies can be triggered by dust and dirt in the working environment. Office furniture that isn’t kept clean could be affecting the health of your employees, and that ultimately has an impact on productivity. Unclean, scruffy furniture is also hugely demotivating for staff. Office workers spend on average over 40 hours per week at work. A clean office makes your employees feel valued, and that includes the cleanliness of the upholstery. Dirty upholstery is a distraction. Even the odour of filthy upholstery will be affecting your employees’ ability to focus. Just the smallest stain can affect the appearance of upholstered furniture. 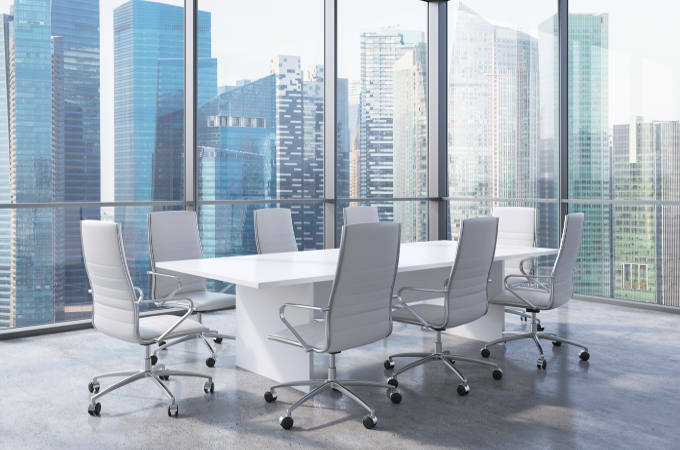 Over time, the durability of your office furniture will also be affected, meaning you’ll have to fork out for replacements sooner than is necessary. Keeping upholstery clean is an investment well worth making. Regularly brush down and vacuum upholstery. Always remove cushions (if they are removable) and brush all sides. This will ensure no dirt is left between cushions. Regularly check for stains on your upholstery. Use a cleaning solution, or even a simple detergent and a sponge. Apply according to cleaning solution instructions or if using a simple detergent, apply a little with a damp sponge or cloth. Allow the cleaning solution to penetrate the stain for several minutes, then sponge off and wipe with a clean dry cloth. Always check care instructions for upholstery. You can always test a small area that is out of sight first. Clean leather upholstery by wiping with a soft dry cloth. Leather also needs regular maintenance and shouldn’t be cleaned with harsh chemicals. Use a recommended leather cleaner every three months to maintain a glossy rich quality. Impress your clients and keep your staff happy with clean office upholstery. If you would like to get your office upholstery looking at its best, why not hire a professional upholstery cleaning company to take the strain out of your cleaning needs? 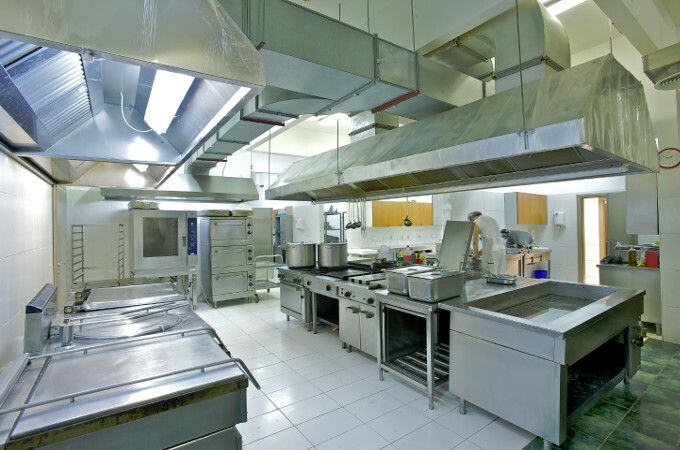 Commercial kitchens get a lot of wear and tear, and grime can build up in the blink of an eye. Whilst all commercial kitchens have their own daily cleaning regimes for obvious health and safety reasons, hard-to-reach and out-of-sight areas can easily get less than their fair share of proper care. In any commercial kitchen grime builds up naturally over time. This presents health risks and fire safety risks. That’s why deep cleans are essential in the commercial kitchen. Poor cleaning methods will inevitably lead to a failure in meeting health and safety standards, and that could hurt your business more than you think. Here are some tips to help you keep your commercial kitchen gleaming all year round. With our deep-clean insights you’ll have those easy-to-miss places in tip top condition in a flash. It’s easy to forget areas that are out of reach and out of sight. Be sure to include these areas in weekly or monthly routines. Without regular cleaning, sinks can become clogged with kitchen waste, and grime can build up very quickly. Regular cleaning with a dual purpose cleaner and disinfectant should be employed, as sinks are a hotbed for dirt and germs that aren’t visible to the naked eye. Heavy grease and oil are common in the commercial kitchen and catering companies are required by law to keep these under control, with an effective means of grease removal on site. Keeping your drains and piping hygienically clean and smelling neutral is an important aspect of commercial kitchen cleaning. Ensure your grease trap is correctly installed, serviced and maintained. For hard water areas, use water softening salts. This will help your dishwasher to run more effectively for longer. Regularly clean the inside of your dishwasher and the seals with a non-abrasive cloth and a multipurpose cleaner. When your dishwasher finishes its load, leave the door open for 15 minutes to reduce humidity. This will help keep the inside clean. Hard surfaces in the kitchen are common areas for bacteria to accumulate and so require regular cleaning. Cracks, crumbs and excess water provide the perfect environment for bacteria. All surfaces should be cleaned and properly dried off before use. Clear surfaces of all debris and kitchen items before cleaning. Wear gloves and wash hands prior to and after cleaning. Don’t overuse cleaning spray – hold at least 8 inches above the surface and spray lightly. Allow the spray to work on the surface for 5-10 minutes for a deeper clean. Use non-abrasive cleaning cloths to prevent surface damage. Always clean spills and food stains at the time to prevent staining. Place cleaning cloths in warm water and disinfectant between uses, and always launder cloths at appropriate high temperatures. Using a colour system in your workplace can make cleaning easy, efficient and increase general hygiene and cleanliness. A deep clean in your commercial kitchen will ensure floors, walls, ceilings, lights and all kitchen fittings and equipment are thoroughly cleaned. If you need a helping hand, our specialist cleaning team are just a phone call away. Hardwood floors look beautiful when new. The glossy finish of a new hardwood floor shines and sparkles, and really lifts any room in the home, or in the office. But, without regular cleaning and proper care any hardwood floor can easily become marked and scratched and will naturally begin to fade. In a lot of cases faded hardwood floors are in the state they are purely because of a build up of dust and debris. The wood hasn’t actually lost its colour. The shine is simply being inhibited by a build-up of dirt. 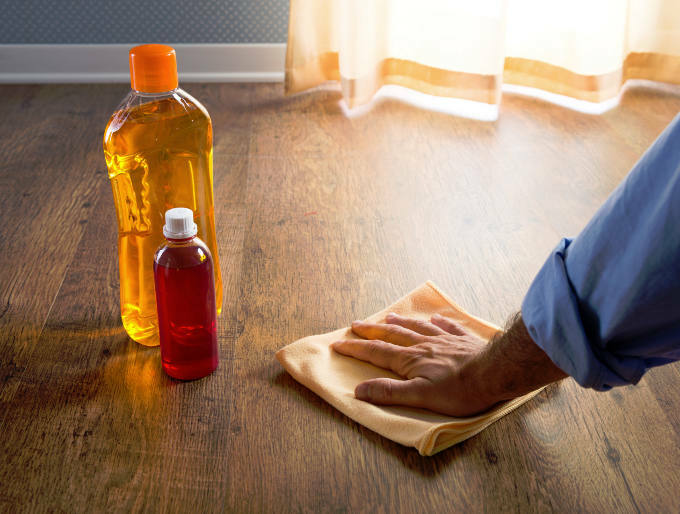 Introduce a proper cleaning regime for your wood floors and you’ll keep them in tip top condition for much longer. 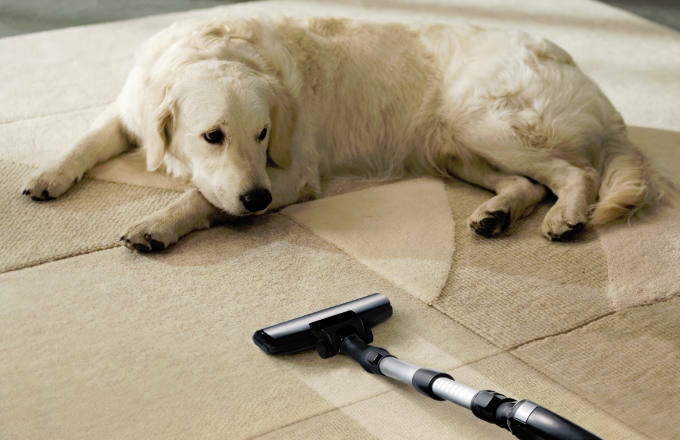 Regularly use a floor duster to pick up dust, dirt and pet hair. Hoover weekly with a floor brush attachment. Don’t use a beater bar attachment as this can scratch the wood floor. Damp mop the floor regularly too. Regular deep cleaning of your hardwood floor should help to preserve its colour and shine. Use a wood-cleaning product diluted according to instructions. Lightly mop the floor using the diluted wood floor cleaner. Make sure you wring the mop thoroughly to avoid swishing too much water on the floor. Mop again with clear water if instructed to do so on wood-cleaning product. Dry floor immediately after washing with a microfibre cloth. Regular cleaning should keep your floor in good condition, free from a build-up of dust and grime. If your floor has gone beyond this stage, then it may require a bit more work. It’s quite a DIY job to sand and refinish hardwood floors, so unless you are confident that you know what you are doing, we’d recommend you hire an expert to do the job for you. There are quite a few things you can do to prevent general wear and tear of your hardwood floors. • Position mats both inside and outside of exteriors doors to lessen the amount of dirt that is tracked into the home. • Use floor protectors or rugs under furniture. • Use gliders for furniture that gets moved around a lot. The thick, peel and stick, glides work best. Avoid using plastic glides and casters as they can scratch wooden floor surfaces. • Use rugs in children’s play areas to prevent toys from scratching the floor. • Wipe up spills as soon as possible. • Keep high heel shoes in good repair. Damaged heels can easily mark wood floors. • Do not use wax, abrasive cleaners or oil-based cleaners on hardwood floors. When your floor begins to look lacklustre, and cleaning no longer restores the shine, it could be time you considered having your wood floor sanded, resealed and polished. In areas where there’s a lot of footfall, you’ll likely need to consider doing this every 2-3 years. For those areas where footfall isn’t so high, adopt a care and cleaning regime and you could have a beautifully kept hardwood floor for many years. We all know that carpet stains are a pain. And in a mad panic to mop up a spill, we can easily make carpet stains worse. Properly removing stains from your carpet requires a bit of know-how. Not all carpet stains should be treated the same. Depending on what has caused the offending stain, you will need to choose an appropriate cleaning method and an appropriate cleaning material. You’ll also need to consider the material composition of your carpet. 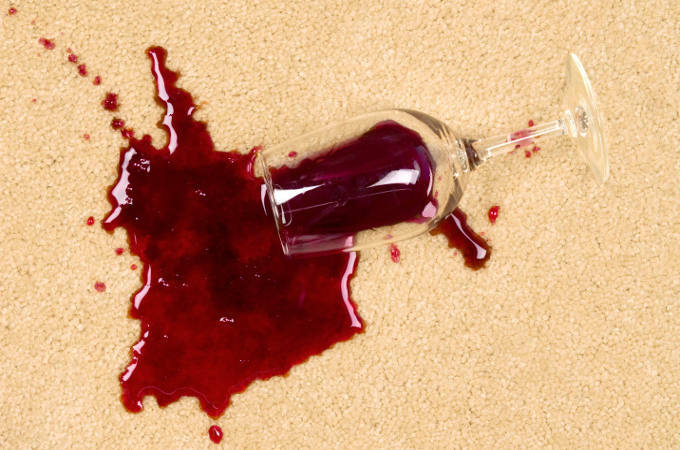 It’s no surprise to learn that the 3 most common carpet stains involve red wine, coffee and pet urine. We’ve put together a quick guide for cleaning each of the 3 most common stains from your carpets, including emergency tips to follow at the time of the spill. Carefully blot the stain immediately using alternate clean parts of a white cloth. Add a little water to the area and continue to blot. Switch to a dry cloth as many times as you need to. Make a baking soda paste (three parts baking soda, to one part water). Apply to stain and leave to dry, before hoovering up. If any stain remains, apply a carpet stain remover according to the manufacturer’s instructions. Use a clean white cloth to blot up as much of the coffee as possible. ALWAYS work gently from the outside of the stain towards the centre to prevent the stain spreading, or bleeding out. DO NOT RUB or SCRUB. This will damage carpet fibres and spread the stain. Pour a small amount of cold water onto the stain and blot again (with another dry cloth). You may need to repeat this one more time. In this step you are diluting the coffee and soaking it up. Don’t use too much water. Use a carpet stain remover as per the manufacturer’s instructions. Place a towel on the spot to absorb the urine. Stand on the towel or put pressure on it so it absorbs as much urine as possible. Make a solution of white vinegar, water and baking soda (2 cups vinegar, 2 cups warm water and 4 tablespoons of baking soda). Place in a spray bottle and spritz directly onto the stain. Leave for 10 minutes and then blot with a soft dry cloth. If the stain is stubborn, or particularly strong-smelling sprinkle baking soda directly onto the stain, then apply a 50/50 mixture of water and white vinegar. Leave for 5 minutes and then blot with a soft dry cloth. If you have really old, stubborn stains that won’t come out, why not try our excellent carpet cleaning service? We can help give your tired carpet a new lease of life. Home renovations are a costly and stressful process, but are usually worth it and will add value to your property. So now the builders have gone, is your renovation project finally over? After all the upheaval you can’t wait to enjoy your new-look home and get back to a normal routine. But, don’t breathe a sigh of relief just yet. Here are 3 hoops you’ll still need to jump through after the builders clear out. Once the builders have left and the dust has settled, many underestimate the enormity of the post-renovation clean-up. It’s a huge job! Here are some tips, but if you can’t face the enormity of the big clean-up, hire a professional cleaning company to clear up for you. It’s a cost worth budgeting for. The finishing touches can make all the difference to your renovation project. With your eyes held firmly on the enormity of the building work, it’s easy to overlook the last-minute details. Losing your will at the end of the renovation and passing responsibility of the fine details to the hired workmen will invariably disappoint. Make sure you get all of the small details spot on as the renovation draws to a close, then you won’t be left with any loose ends. Hardly a renovation goes by without there being one small snag or another. Small problems will inevitably crop up in the months following the renovation. If you used a main contractor for all the work, hold on to a small percentage (usually 2-5 per cent) of the payment until the dust has settled and you’ve had time to properly inspect all of the work. If you discover any problems, call the relevant contractor back straight away. Be aware that if the problem wasn’t as a result of anything the contractor has done wrong, you may have to pay to get a problem fixed (i.e cracked plaster). If the problem caused is a direct result of their workmanship, they should do the work at no cost. You may want to seek the advice of a legal professional if you find yourself in a building dispute. A clean office increases happiness and satisfaction. Clutter creates stress. Stress leads to a number of health problems including depression and fatigue. It’s draining working in an untidy and dirty working environment. Cleanliness impacts on employees’ health, and it should be no surprise to learn that a clean environment promotes better health. Dirt and dust can be a trigger for allergies and dirty desks and keyboards harbour germs. The average office keyboard has around 7,500 bacteria on it! Keeping the office clean has a beneficial effect on staff absenteeism. Dirt and mess is a continual distraction. A clean office increases employee focus and hence productivity. Research shows that a lot of worktime is lost when employees search for things not in reach. Organisation is key and that’s much more achievable in a clean environment. With a clean and organised office space employees can focus on business matters. A clean and tidy environment boosts office morale and has a positive impact on productivity. A clean office makes you feel good about where you work and that rubs off. Taking care of the office environment with regular cleaning and an annual or 6-monthly deep clean is a great way to prevent excessive wear and tear. A sparkling office creates a great first impression when clients are visiting, and is imperative if you are thinking of selling or part-leasing your building. A welcoming environment that looks clean and organised will definitely impress. The office spring clean may not be the most pressing issue for business owners, but keeping staff focused and productive, and happy about where they work, will ultimately be good for business. Don’t overlook the annual spring clean. It’s a chance to get maintenance jobs up to date, carpets cleaned and all those hard-to-reach places properly taken care of. There’s no better time of year to tackle the winter dust build-up than spring. As the sun starts to make an appearance, the spring light shines ominously on all of those areas that escape the weekly clean. There’s no time like the present to make your home and your office sparkle like never before. 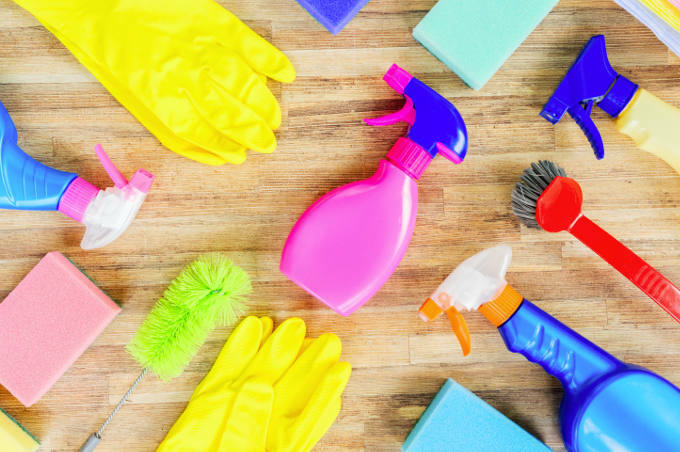 Here’s how to tackle your spring clean like a pro. Focus on the major tasks. It’s all about following the list and not giving up. Get those windows open and get cleaning. Clean your hoover and get all of your cleaning equipment ready. Make sure you have rubber gloves, cleaning cloths, liquid cleaner, floor cleaner, bathroom cleaner, furniture polish, window cleaning fluid and upholstery cleaner. Descale and clean your kettle, coffeemaker, water filter jug, dishwasher and washing machine. Clean windows outside and in (call in a specialist if windows are high). Dust light fittings and ceiling fans. Dust book shelves, furniture and skirting boards. Wash all bedding, including duvets and pillows. Clean fridge and defrost freezer. Declutter kitchen cupboards – throw away out-of-date food. Deep clean carpets. Use a rented cleaner or cleaning service. Wash wood floors and wipe dry. Deep clean bathroom, including grout, and wash shower curtain. Recycle and shred old documents. Switch out your winter wardrobe for your summer one. Put two cups of vinegar in the bottom of your machine and turn cycle on – switch off for 20 minutes mid cycle and then turn back on again. Wipe out machine when cycle finished. Run cycle empty using a descaler. Wipe the rubber door gasket. Pull out the washing powder drawer and clean. Make a paste with baking soda. Spray a light mist of water inside oven. Apply baking soda paste for a few hours. Wipe clean with a damp cloth, rinsing the cloth between uses. And if it’s all too much bother contact us, and we’ll do your whole spring clean for you.